It’s a good thing that when these hot and humid nights occur we can rely on today’s technology to keep us cool. As the heat rises to unbearable levels, we crank up the A/C. Without paying too much attention to the consistent job of our air conditioning unit, humidity levels can play a negative role in the performance and overall health of the unit. A faulty unit can cause major problems to your health and home, too. It’s best to call your local A/C service in Port St. Lucie for an overall inspection. Let’s take a look at how humidity affects your system and ways to avoid malfunction. The A/C unit’s main function is to remove excess humidity from the air. This will eventually lead to wear and tear on the functionality of your working unit. When you have a well-working A/C unit, you will have a comfortable living environment. The unit should be efficiently removing warm air and humidity to keep a cool room. If you notice that your A/C unit is on full-blast but you’re not experiencing a cool circulation of flow, this could mean that your A/C unit is pumping more air to maintain a cool atmosphere in a high-humid space. Furthermore, this puts strain on your unit, causing it to work harder while raising your utility cost. A bigger unit in a smaller space will not do the trick, either. Musty odors produced by excess moisture and dampness in the air. Clammy, moist air upon entering the home. You even feel it on your skin, if severe. When you notice fog accumulating on several windows of your home. Your home may seem warmer than it actually is if the humidity is too high. It is recommended to have a humidity level of no more than 60% during the summer months. An annual cooling checkup can help, too. 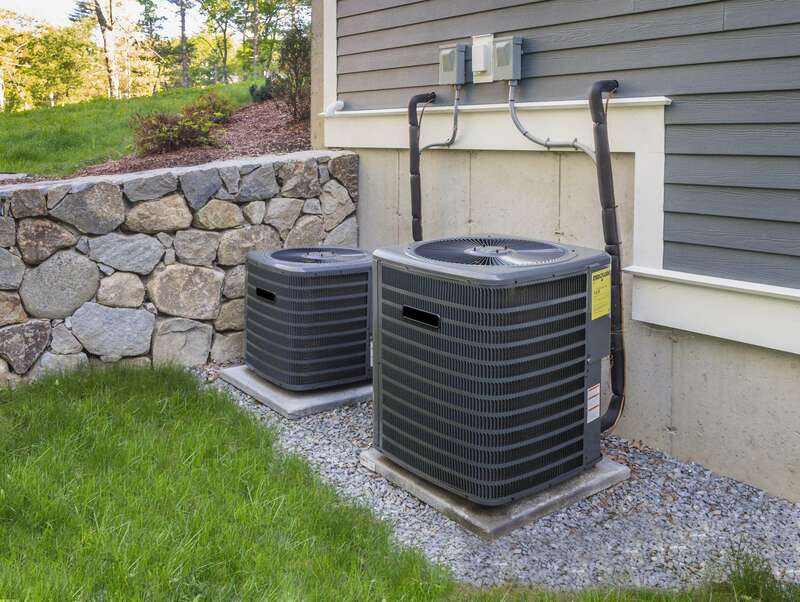 Your A/C unit should be able to offer efficiently cool airflow through your hot and humid home. However, when humidity is high, there are a few things you can do to help keep the unit from malfunctioning. A dehumidifier is a great way to keep the moisture level at a comforting place. Dehumidifiers partner well with air conditioning units; working as a team, one takes the moisture out of the air while the other keeps a cool space. Do you notice a difference in your home’s air flow? Perhaps you’re ready to upgrade your unit and need a little assistance. Call the professionals at Air Temp Air Conditioning for tips and assistance when it comes to your air quality needs.